Show your Ramapo College pride all year long with our authentic assortment of collegiate apparel – including Ramapo College t-shirts, sweatshirts, gifts, hats and more. With sizes available for men and women, the whole family can cheer on Ramapo College in style in fan gear, every season. We’ve got Ramapo College gift ideas covered, with options ranging from drinkware to gift cards. Looking for more than clothing and gifts? 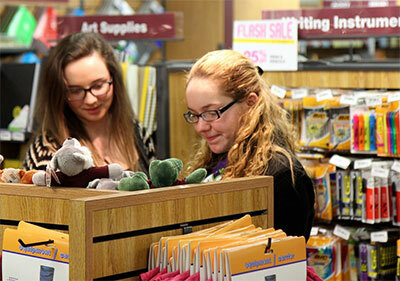 Our selection of textbooks, general books, computers, course materials, and school supplies will ensure every Ramapo College student is prepared for success. Call, contact or come into the Campus Store today or conveniently shop our website. The right textbooks, right now! Order your textbooks online today. the Robert A. Scott Student Center.